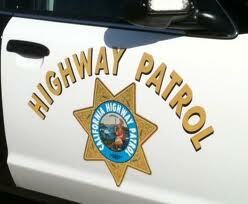 Late Wednesday, a CHP officer stopped to check on a Jeep Grand Cherokee that was parked on the roadside. The driver then sped off, and a high-speed chase began. At one point, the Jeep was heading the wrong way on the highway. The driver then left Highway 198 and crashed through a gate at Naval Air Station Lemoore, which is located along the border of Kern and Fresno counties. The chase ended when the driver crashed into an FA-18E Super Hornet. The fighter jet was parked about seven miles inside the base. Authorities say the passenger died at the scene, and the driver died at the hospital. Investigators do not believe the Navy base was an intended target. Officials are inspecting the plane and have not detailed the damage. The Jeep collided with the jet’s horizontal stabilizer. In all, the chase lasted about 15 minutes. Obviously the Force Protection measures for Lemoore will be subject to much scrutiny and subsequent improvements. This never should have happened.My guess is the base commander may be relieved of duty. DOD cannot afford to lose a 50+ million dollar aircraft to a police chase. Crashed into the “horizontal stabilizer”…LOL. Can anyone say decapitation? Great… more ideas for Islamic zealots. Our airfields are not that protected at all. All that security at the main gate is for honest people. Who in their right mind would “storm the gate” anyway? And this plane was 7 miles inside the base? AWESOME response time, Air Force… Did the SP’s even roll out? Oy vey. Instead of enlightening you upon Christianity again, I need to make you aware that this accident happened at the Lemmore Naval Base, which is not an Air Force base, unless they need an airstrip in an emergency or to refuel. Roy, seriously, is there anything more godly looking than an FA-18E Hornet with a full wing load? We can only assume that our god Yawheh would have used these FA-18’s to kill the factions that went against His word in the Bronze Age if they were available. Can’t believe your comment got ANY thumbs down…! ! ! Our Bases aren’t very well protected…at least not the Naval Air Station at Lemoore. Maybe they ought to make it harder to just drive straight onto base. At Camp San Luis you have to zig zap to get past cement barriers. Novel approach to making cars slow down. Atleast this was the driver would have crash into a mess of cement instead of expensive gov’t property like a plane. citygirl….CSLO is not a good example of protection. Ever been to NAS Lemoore? It’s expansive. I will admit that at those gates that are not manned 24 hours, NAS Lemoore should place if they already haven’t, K-rails at least 3 deep. I don’t know which gate this idiot crashed through, but had K-rails been placed there, he would not have made it so far into the base that led to his and his passengers death. Currently, we are at FPCON Bravo. There should have been some type of barrier. Bill his family for the loss of the warplane. Lemme guess, you’re a “compassionate conservative“? Ha! No way. Thankfully, Trump is killing Conservatism and replacing it with something better. You’re right, Trump acts like the Hebrew Christian God of the Bronze Age bible in his taking no prisoners modus operandi, praise! Trump is proving master morality correct, and the Conservatives, Hillary, and the Pope are proving slave morality to be utterly ineffective. Read some Nietzsche. Read Nietzsche? This burning in Hell philosopher was totally against Christianity and religion in general by making fun of them, and you want me to read about his Satanically induced philosophy? You’re kidding, right? No true Christian would be caught dead reading his ungodly diatribe. The Pope is like Ecce Homo, Behold the Man, come to life. Will these bozos estates be able to foot the bill for any damage to the $61M jet?